Electronic balances are used for both research and development and quality control purposes. 2018 marks the centenary of Shimadzu's balance business. Here we uncover the challenges that brought about a revolution in Shimadzu's electronic balances. It was early in 2013. 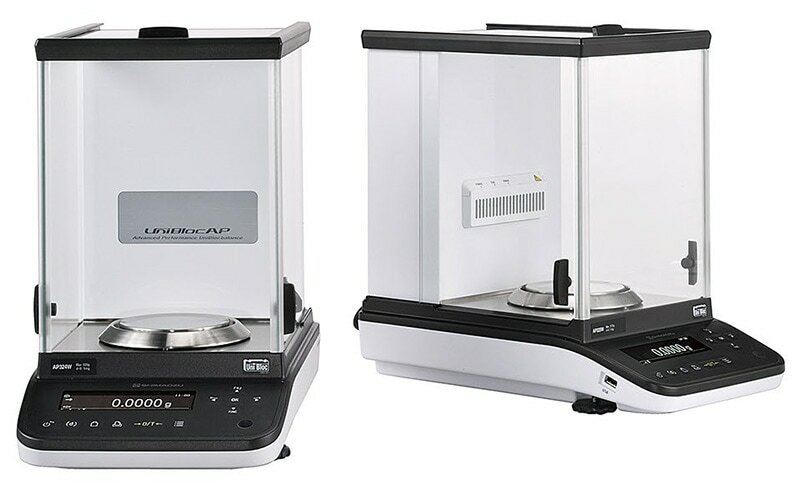 In front of a customer and Hamamoto of the Balance Group, Weighing Instrument Business Unit, Analytical & Measuring Instruments Division, there was an electronic balance that Hamamoto himself had produced 10 years earlier. "Can you not make it faster?" Hamamoto buried his head in his hands on hearing the wish of this customer, a pharmaceutical manufacturer. The customer was referring to the time it takes to measure samples. It took about seven seconds from placing the sample on the measuring pan until the measurement value could be read. This time was due to a structural characteristic of the instrument. At the time this balance was launched, it was acclaimed for being significantly faster than previous models. However, there is no resisting the flow of time, and this response time was becoming an issue. For example, at the initial stage of drug development, a massive number, many thousands or tens of thousands, of samples are produced and the potential of each of these drugs is tested. Waiting seven seconds to measure a single synthesized sample means 70,000 seconds for 10,000 samples, and 140,000 seconds for 20,000 samples, which corresponds to an actual loss of two days in total waiting time. The customer’s request for a faster response was therefore reasonable. Various members were involved in the development, including Assistant Manager Koji Hattori (right), Deputy Manager Hiroshi Hamamoto (center right), Assistant Manager Kosuke Fujita (center left), and Assistant Manager Hiroki Honda (left) of the Balance Group, Weighing Instrument Business Unit, Analytical & Measuring Instruments Division. Electronic balances take a measurement using the principle of the lever, the same as for balances used in scientific tests having measuring pans at both ends. However, with electronic balances, balance with the sample is produced not by a weight, but by an electromagnetic force. The current passing through a coil below the platform is varied in proportion to the weight of the sample in order to obtain a balance. The current at the time of balance is measured and converted into the weighing result. The product delivered by Hamamoto in 2003 was capable of measuring very small samples in 0.1 milligram units. However, there was one issue with electronic balances. The noise generated by the internal electronic circuits affects the sensor that converts the current into a numerical value, which reduced the response speed and precision. Therefore, after placing the sample on the weighing pan, the measurement could not be completed until the mechanism had stabilized. Of course, Shimadzu did not just ignore this. 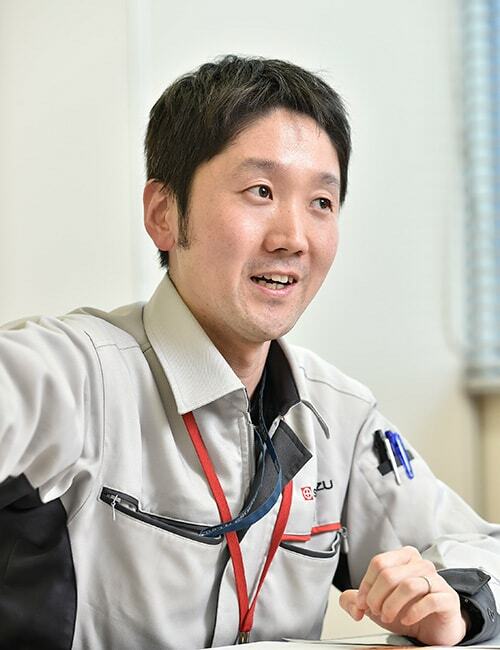 Improvement continued from the time of release in 2003, and from 2008, Fujita, who had been with the company for one year at that time, started to work in earnest on reducing noise within the instrument. He checked the minute noise generated from components, down to each IC. This was very low profile work of putting together a low-noise instrument while maintaining compatibility with the circuit board. In October 2013, Fujita's efforts bore fruit. Finally, an electronic circuit with greatly reduced noise was produced. This contributed to the development of new models with greatly improved stability and responsiveness. With the cooperation of the Technology Research Laboratory of Shimadzu Corporation, the responsiveness was significantly improved by the application of data processing technology for judging very small variations in weighing and external disturbances. In parallel with the development of the element technologies, market surveys were conducted. One of the major customer needs identified in these surveys was how to deal with static electricity. In addition to the speed problem referred to previously, in drug development research, it is necessary to control the mass of compounds in units of 100 micrograms. Due to the effect of minute invisible static electricity generated on the weighing pan and its surroundings, the sample stuck to and remained on the pan, which had a large adverse effect no matter how minute the static electricity was. Also, there was dispersal when the sample was placed onto the weighing pan, causing static electricity and sparks. In addition, static electricity acted on the weighing pan, so the display of the measurement value would not stabilize. This problem was more troublesome than the noise. To date, removal of static electricity was dealt with by a separately sold device called an ionizer, but in the new model, the ionizer was incorporated into the main unit of the balance. What Is Special About Shimadzu Balances? Beyond the static electricity issue mentioned previously, other opinions were received regarding ease of use aspects from the automotive and food industries where the balances are used in quality control of their products. The opinions included the following. Various marks were shown on the display, but it was difficult to intuitively understand what they indicated. In addition, depending on the object being measured, the units could be switched, such as g, mg, %, etc. However, when the units were changed accidently, it was difficult to know how to change back to the original units. Most of the operators working on site were not familiar with electronic balances, so interfaces designed for experts in research and development were inappropriate. The development team studied the specifications based on the needs of these industries. As a result, a policy was summarized placing priority on "speed and accuracy of measurement, and ease of use through display in words." Looking back on the decisions at that time, Hamamoto said: "We considered that providing a touch panel would make the operation more intuitive. However, naturally, this entailed cost. When we considered how to allocate limited resources, we concluded that the Shimadzu way is to enhance the performance and functions in such a way that anyone can quickly and accurately carry out the weighing operation without reading the instruction manual, while maintaining a certain minimum level of ease of use." Organic EL was adopted for the display in accordance with this policy. An organic EL display can achieve the target improvement in usability at low cost, with its better visibility over a wider angle of view than a liquid crystal touch panel. Also, as a result of considering "what is special about Shimadzu balances? ", the answer we arrived at was "synergy with analytical instruments." A "recipe" function is provided in which the methods for preparing solutions or synthesizing compounds are registered in advance. When the user calls up the recipe, the quantity of the samples to be measured and the sequence of adding them are shown as guidance on the display, and the necessary pH or quantity can be selected. These applications increase the efficiency of pretreatment for high-performance liquid chromatography, etc., and is an idea that utilizes the strengths of Shimadzu as a comprehensive analytical and measuring instruments manufacturer. In July 2016, about three years after the commencement of development, the new more advanced AP series of electronic balances was released. The time from placing the sample on the weighing pan until the measurement result is just 1.5 seconds. Shortening the time by 5.5 seconds compared with the previous product relieves a surprising amount of stress when several tens of thousands of measurements have to be made. "Customers have provided very positive evaluations not only its performance, but also the fact that it is very easy to use and that there are many applications included. However, the electronic balance is still evolving. 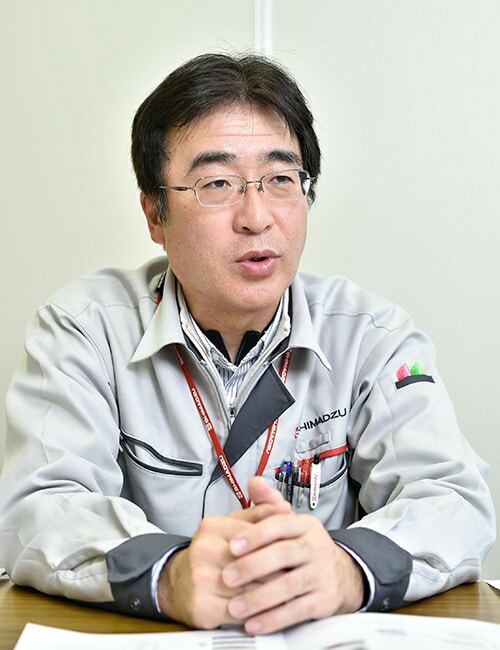 We should have balances that can greatly increase the efficiency of customers' work by detecting and reporting on environmental factors that could lead to measurement errors, that are connected to the Internet, and that incorporate an AI function and a robot," says Hattori, who is responsible for sales promotion, as he expresses his ideas regarding the future of electronic balances. The challenge of creating balances with speed and accuracy that only Shimadzu can produce will certainly not stop. * The information including affiliates and titles of the persons in this article are current as of the time of interviewing.